UWB provides a high education level in its training and research units for science and technology, medicine, odontology, arts and social sciences, law, economics, business management and sport. Along with these 'academic' types of education, the university provides professional training based on the region's particular economic bias (DUT, vocational bachelor's degrees (Licences Professionnelles, MST, IUP, DESS and DEA, etc.). Today, almost 18,000 students study in 14 units located on four sites in Brest, Quimper, Morlaix and Carhaix. The university also has 950 professors and lecturers and around 50 research teams. 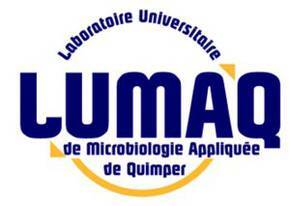 One of these is the Laboratory of Applied Microbiology of Quimper ( LUMAQ, EA 2651), it is composed of 25 scientists (3 professors, 18 lecturers, 4 pHD), 3 technicians and 1 secretary. The budget of the lab is 243 k€ of which 78 k€ is governmental funding and 165 k€ is external funding. (3) Bacterial immunology. The research group interested in ‘Production of bioactive substances’ is involved in SEAFOODPlus. The scientists are in charge of investigations on optimisation of fish or crustacean protein hydrolysis in order to obtain antioxidant activities. This will include the identification/purification of the active compounds and the biochemical modifications of protein hydrolysates such as reaction with ribose in order to enhance antioxidant properties. In addition, the potential cytotoxicity on cellular cultures is evaluated. The group has also expertise on the recovery of valuable fractions from fish discards and processing wastes. Dr. Fabienne Guérard (project 4.1 PROPEPHEALTH).